The scoreboard said Auburn 76-Florida 62 at the end of the night and though that score looks bad enough the disparity probably could have been a lot worse in a game that felt like the Tigers controlled it from the opening tip onward. 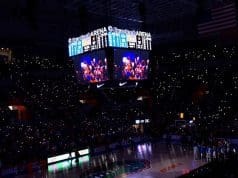 Although a KeVaughn Allen layup at the first half buzzer made it 36-30 at halftime in favor of Auburn it seemed like the Gators were never close and a second half burst from a ferocious Tigers team feeding off it’s home crowd put the game out of reach. 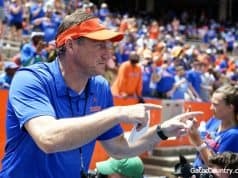 This is a deflating loss for a Gators team that is desperately looking for something to hold on to and the team gets no chance to find their footing comfortably as they next head to Knoxville to take on the #1 ranked Volunteers. This was Auburn’s first victory against the Gators since 2009. This game came down to the fact that Auburn had way more shots due to their ability to force turnovers and get offensive rebounds. Grabbing 14 offensive rebounds and forcing the Gators into 17 turnovers the Tigers simply got way more chances to score and the turnovers they forced often lead to easy layups. The Gators actually shot a good percentage from the field (46%) but gave the ball up far too often. If they turned the ball over an average amount, say 11 times tonight, that erases 6 fast break opportunities for Auburn while also giving the Gators 6 more shots at the rim. That probably would have made for a very different outcome. KeVaughn Allen lead the way with 5 turnovers while Keyontae Johnson had 4 and Andrew Nembhard contributed 3. Some of these turnovers were directly forced from some great Auburn pressure but some of them were head scratchers that just should not have happened. Guarding the perimeter was a challenge for the Gators all night long as they struggled to keep the electric perimeter duo of Bryce Brown and Jared Harper out of the paint. They were getting to their spots on the floor at will and seemed to have the Gators scrambling from the moment they crossed half. Their ability to get into the paint with ease drew help and generated a lot of catch-and-shoot threes, the kind of shots Auburn had made a season out of. They went 9-25 from long range (36%) and that crumpled the Florida defense. 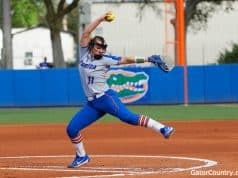 Who Played Well For The Gators? Keyontae Johnson struggled with turnovers but was one of the few players on the floor that was willing to step up the physical challenge of an Auburn frontcourt that plays really tough. It should also be noted that Florida’s leading scorer was Kevarrius Hayes, something I haven’t said much in my time covering the Gators. He had 11 points including going 5-5 from the free throw line. 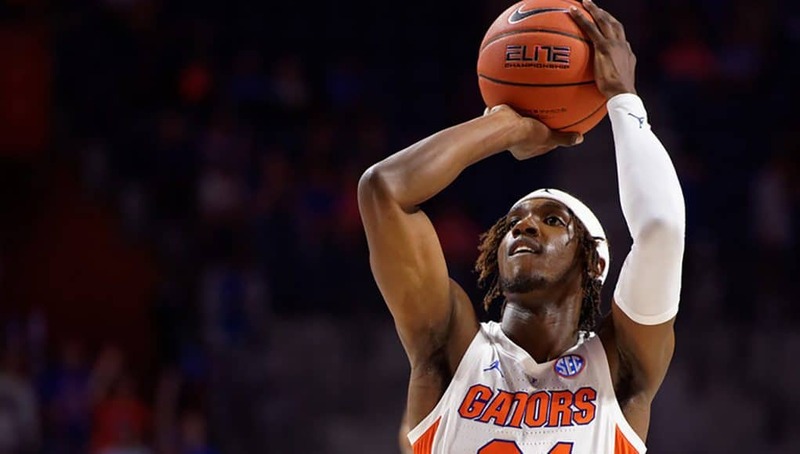 He only hauled in 3 rebounds and you would have loved to have seen him get more on a night the Gators struggled on the glass but it was not meant to be. Florida did battle to stay in this basketball game but ultimately they just had far too many things go wrong to win. They didn’t defend well enough and allowed far too much dribble penetration, they didn’t shoot the three well enough (4-17, 23.5%), they didn’t rebound well enough, and they turned the ball over way too much. Right now I feel like this is a team that doesn’t have much margin for error if they want to win and they were poor in too many areas tonight. I do credit Auburn for a really good game and I think they are a quality team, but this was not a great effort from the Gators.